Outlook PST Locator is a tool that can auto locate and list all the Outlook PST Files with their attributes on Machine. It will allow user to save the selected or all the PST files at a desired location. Trial purposes that will auto locate the PST files in the machine but not allow the user to save the PST files located from the system. All the Outlook users must be aware of PST files. Personal Storage Files (PST) are the main storage repository of all the data items in MS Outlook account containing the emails, contacts, calendars, tasks, journals etc. One user account is not limited to having one PST file. When more and more data is stored in PST file, Outlook performance will slow down which is why we archive the old data in another PST file. Multiple Outlook accounts can be configured on the same system, which will in turn creates many PST files. Why Outlook PST Locator is used? When several Outlook accounts are configured on the same system, we have many PST files present and it is sometimes difficult to locate the PST files. In another scenario, we archive old data in some PST file and it is sometimes difficult to locate them. With the help of the OST Locator Tool, we can auto-locate the PST files and view the list of files with their attributes. The tool allows user to save the PST files at a desired location. The PST Locator is a necessity for all those Outlook users who has multiple PST files to deal with. It is difficult for everyone to remember the location of the PST files especially when there are many files. It serves as backup utility allowing users to save the PST files located. It supports all Windows OS and Outlook Versions. Will the software locate both ANSI & UNICODE PST files? Yes, the PST Locator tool will find both the types of PST files i.e. ANSI and UNICODE. The software will list all the PST files found in the system. Can I use the software for searching a particular PST file? Yes, the tool will list the PST files with attributes like name, size, creation date etc. The user can look for particular PST file and select that file to save it. Does the software supports selective PST file saving option? Yes, the tool allows user to select only the desired PST files & save it. It is helpful when there are multiple PST files in system and user want to save only some files. Is the tool able to locate the default PST file configured? 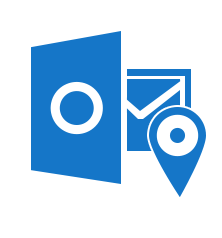 Yes, the PST locator software can locate the default PST file as well as orphan PST files and save it at a desired location on system.